This Ashes being the complete turning point for Australia, being humiliated and astonished took an other U turn. Ricky Ponting, who had broken his little finger at WACA, has been deemed unfit for the fifth and final test at Sydney. In a once a million pickup, Australian selectors have turned to Usman Khawaja. By this Usman Khawaja, the Pakistani born would become the first muslim ever to represent Australia cricket for the international team. Australia's humiliating defeat by the hands of England by an innings and 157, saw their gloomiest cricketing times. Australia had domintated cricket well over and decade, looked like a similar face to the West Indies who had such a ushering time went on to limp and never got the reach to superstart status again.Now all Australia would be doing, after Ashes went into the hands of England to do some face saving and redeem their lost pride by squaring the series. 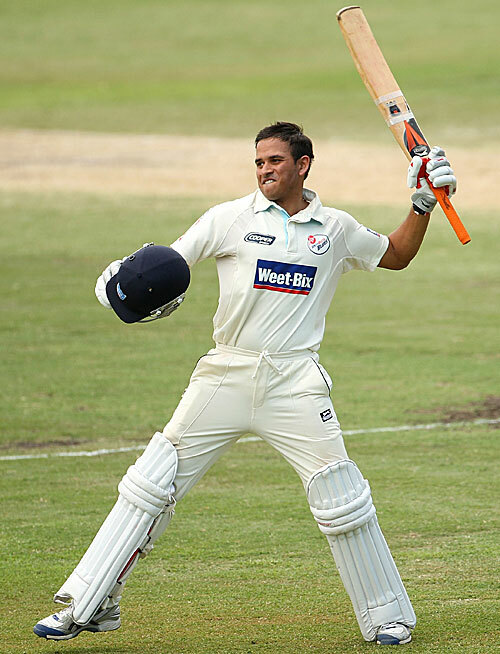 Usman Khawaja who born in Islamabad, Pakistan on 18, 1986, Islamabad, Pakistan had been playing domestic cricket for Australia for quite some time now. He currently represents New South Wales,and averages 51.70 witih bat in the first class. He had been in the queue to play in this series, is in sparkling form as he went on to make the highest average of the competition with 75 in the Sheffield Sheild . "Ever since I can remember I wanted to play for Australia." After Usman drafted for the final test , it would yield far more broader impact than to level the series. As it would help bridge between multi-cultural communities, and prove that Australia is a much tolerant country. Tariq Khawaja, Usman's father while talking to Sydney Morning Herald said:" Obviously it will be a positive impact, it's good for the [Muslim] community" . So it is hoped that the new comer will yield results for Australia, and would emerge was the potential future for Australia cricket.